National Science Foundation Math and Science Partnership grant researching the impact of high quality teacher professional development and family engagement on PreK-3 academic achievement, simultaneously targeting young children's teachers and families/caregivers in an effort to build both parties' capacity to promote student interest in science, technology, engineering and mathematics (STEM) learning. 1. Transform early childhood science teaching based upon Next Generation Science Standards (NGSS) to measurably increase student science, literacy, and math achievement. 2. Engage families of PreK-3 students in science inquiry practices to measurably improve student science, literacy, and math achievement. Beginning in the Summer of 2018, NURTURES Phase 2 welcomed its first cohort of teachers from multiple school districts in Northwest Ohio and Southeast Michigan. NURTURES Phase 2 project participants will include 120 teachers, 2,400 PreK-3 children and over 7,200 family members in Ohio and Michigan beginning in 2018. Participants are provided with an intensive 2-week summer program combining guided and individualized professional development experiences. The goals of the summer institutes are to increase PreK-3 teachers' science content knowledge, understanding of science standards and high leverage pedagogical practices in science instruction. These goals are addressed through three main sessions: an inquiry immersion experience session, a metacognitive session, and a lesson planning session. During the academic year, classroom teachers participate in monthly PLCs composed of grade level peers. NURTURES’ coaching staff facilitates the PLCs; topics build on ideas introduced during the summer institutes and focus on teacher interests or identified challenges. Participants will also be provided individualized coaching experiences throughout the academic year. Participants and coaches will set goals, discuss pedagogical practices needing addressed and develop quality lesson plans and materials. Participants receive sets of zippered take home bags containing science inquiry activities for distribution to their students and families. 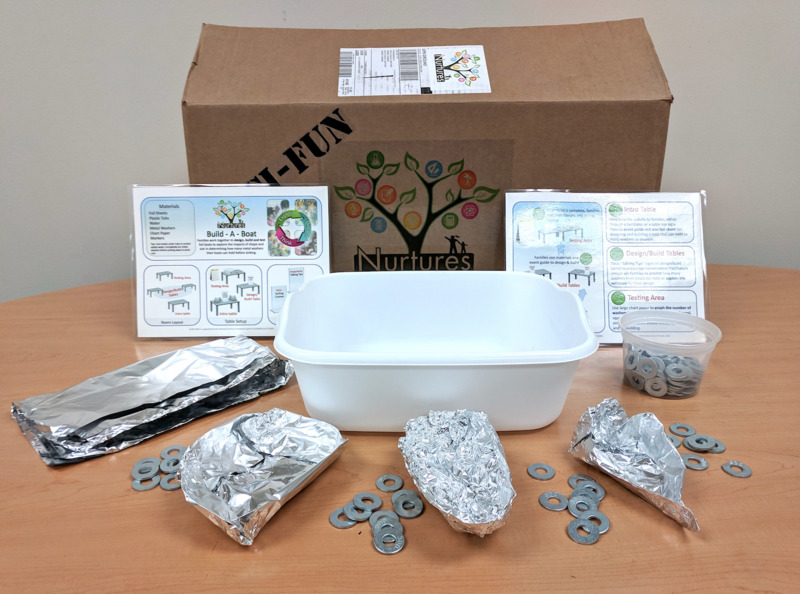 Each Family Pack contains interesting science inquiry activities aligned with the curriculum standards designed to help parents/caregivers engage with their children in the context of science learning. Community events will be offered to give families opportunities to engage in informal science activities after school or in the community. A wide range of activities (e.g., engineering challenges, simulations, observations, demonstrations) are geared for families of young children and are designed to foster adult-child interaction around a variety of science topics. 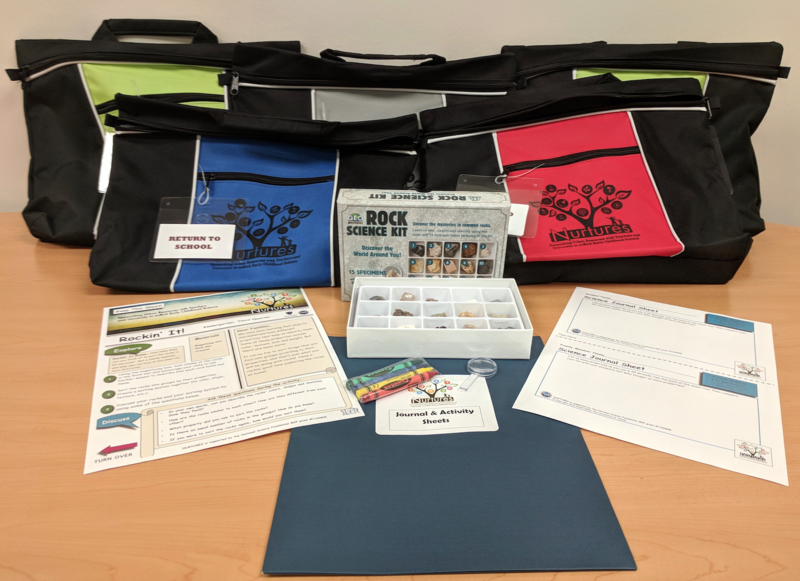 *A random selection of teacher participants in NURTURES Phase 2 will receive family engagement materials during the course of program enrollment.